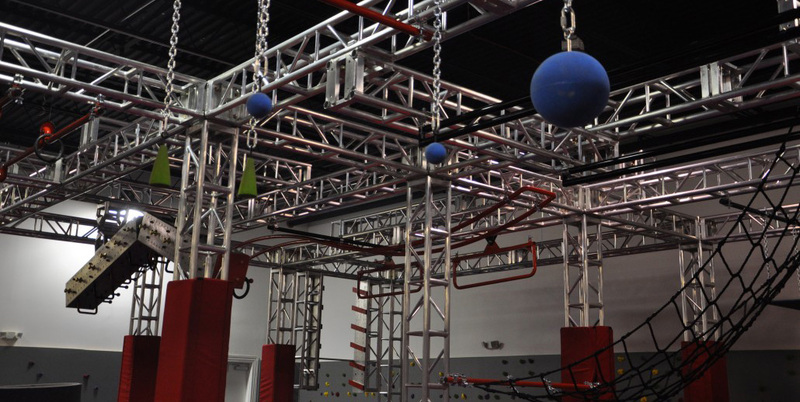 For commerical facilities: We have partnered with the leading company in the industry that manufactures professional quality American Ninja Warrior obstacles using a high quality metal truss system. 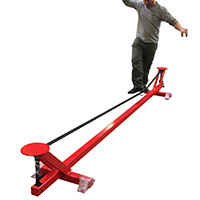 Obstacles are adjustable, versatile, and build to top safety standards. 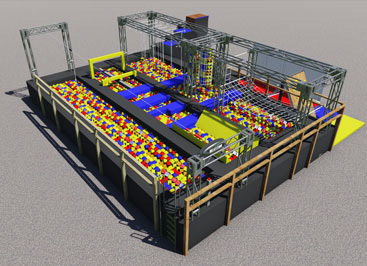 Getting from a design plan to a fully fabricated commercial American Ninja Warrior facility like Ninja Lounge includes several stages involing 3D CAD blueprint sketching, materializing, and sketching prior to physical construction. 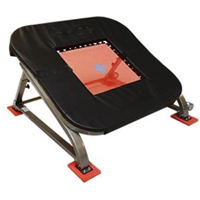 All courses are held to the highest safety standards set forth by ASTM F1292-04 with an emphasis on durability and product life. 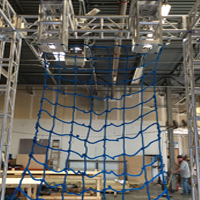 In addition, through the use of the metal truss frame, obstacles are easily customizable and can fit a variety of ages and skill levels. In the first stage, customers meet to discuss business objectives, time frame, budget, and constraints. Taking into account available floor space, target market groups, and types of obstacles, we are able to understand the needs of the customer. 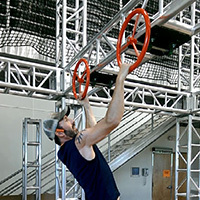 The second stage is a rough design, where we create a two dimensional computer layout of the course including the suggested obstacles. 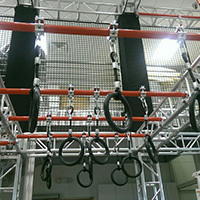 Included is a description of each obstacles. The customer can then review the design and discuss the layout. In the final phase, we will create a 3D model of the course using CAD software. The client can review and discuss the model in an online meeting and give final thoughts. 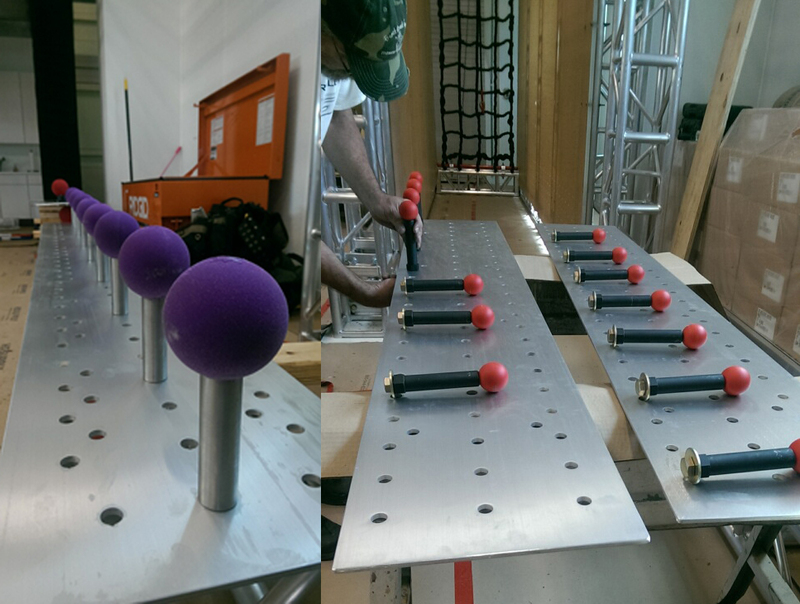 The Frame: The core foundation of the ninja warrior course is a custom sized truss frame. 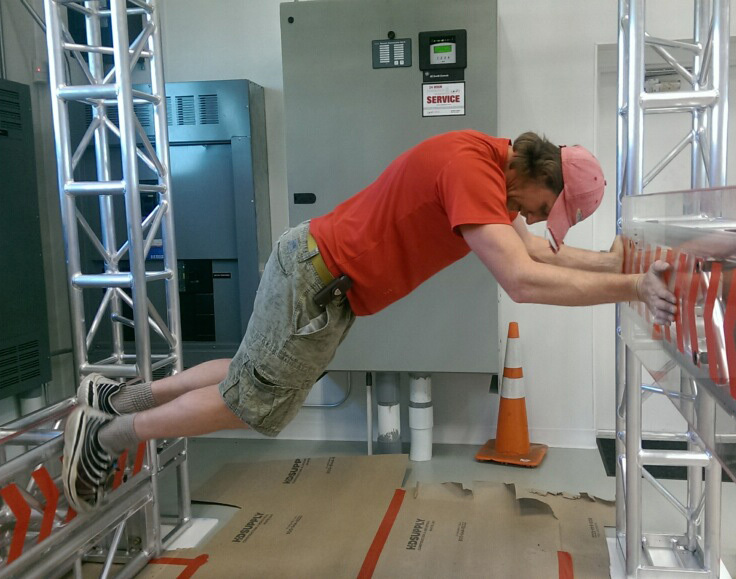 These are designed by a liscensed engineer to hold up to maximum structural safety. They are made from the same material and design as the course on television. 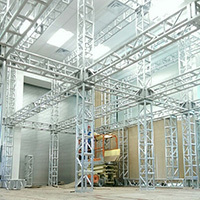 Each standard frame is 8 feet wide x 20 feet long x 13 feet high and includes 1 to 2 obstacles. 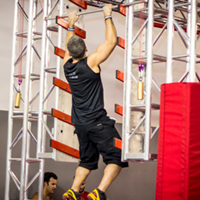 Versatility: In order to target a variety of skill levels and adapt obstacles to Ninja Warrior competitions, elements are designed to be easily adjustable. 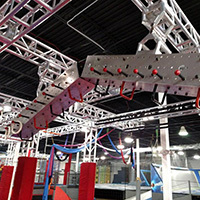 Couplers (shown in the image to the left), are used to connect obstacles to the truss frame such that they can be slid forward and backward on the track. 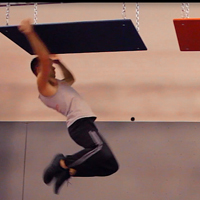 In addition, traverse boxes contain removable plates to enable obstacles to be varied in difficulty. 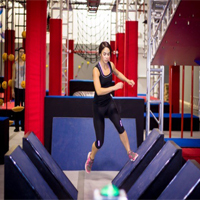 Mats and Flooring: Included in Ninja Warrior courses is the necessary safety padding. 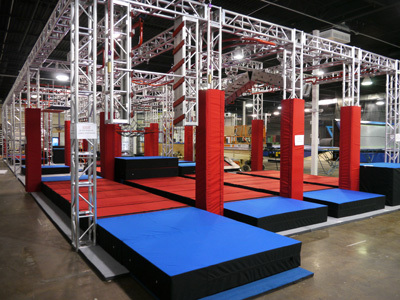 Landing mats can be velcroed together and all metal columns are protected with truss pads as seen in the course to the left. This again ensures the course is as safe as possible. 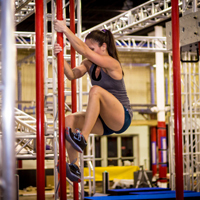 To get your own Ninja Warrior obstacle course or to learn more information, please fill out the contact form below or email us at webmaster@ninjawarrior.info. It is necessary to include either your budget or the approximate course size you are looking for in terms of square footage so that we can determine which obstacle service meets your criterea. 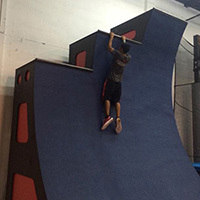 Disclaimer: These are not the official "Ninja Warrior obstacles" seen on American Ninja Warrior nor are we in any way affiliated with the show.